Jesse and the Dandelions – CD review of “The Lions Tooth” – Life as a photographer and loving this new life! Congratulations to Jesse and the Dandelions for being the 100th post here on WP blog!! Thanks guys for this milestone that I share with you!! This trio of musicians come from Lethbridge AB and they are Jesse Northey, Nick Vedres and Tyler Stewart. There is an interesting story of Jesse when he was younger – he was a figure skater who was the best and the only boy who did such a thing and was known in Fernie BC for figure skating. But, when Jesse was in grade 7, kids starting beating him up because of his passion for skating. So he got his parents to get him an electric guitar which was a bright blue strat knockoff – a “Yamaha Pacifica”. This band is inspired (and have toured with) Hey Ocean!, Attack In Black and We Are The City. 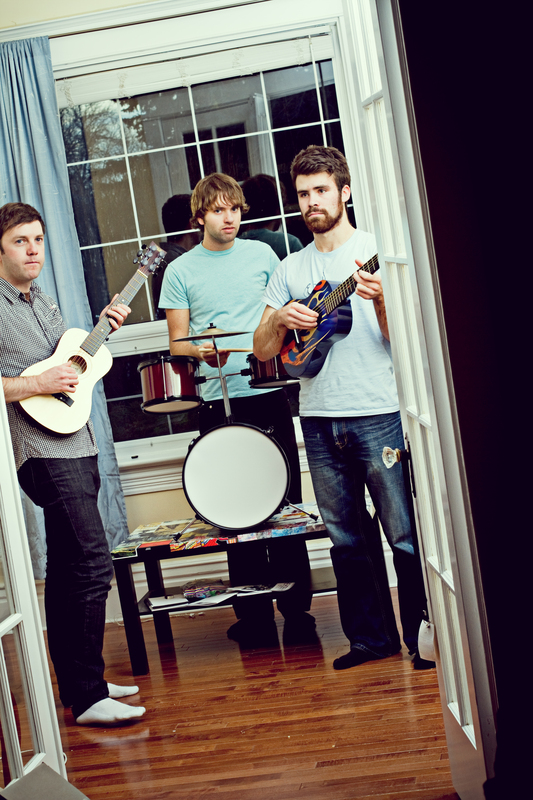 They have some exposure from their debut on CBC Radio 3, Canadian community radio stations as well as Alberta’s CKUA. And they bring in the banjo and harmonica along with electric guitars. The CD is on Esper Records, which is an indie label from Lethbridge AB. This is a really good tight musically driven band. The music reminds me of Bob Dylan meeting Jet (from Australia). “Advice” has a good melody and is stripped down instrument wise. And they have musical breaks that are in time and on time. I can hear a Nirvana influence in the guitars and it sounds really awesome in this song in particular. Fast paced and funky with a dash of Nirvana. “In Limbo” has a Spanish flavor in the melody. The song is mostly in minor notes which give it a darker side but in a subtle way. (“Torn between the yes and the no”) is a good way to describe most people in this day and age. And it just sounds so damn cool as do the guitars in the middle. All in all, I really dig the music in general. The only downside for this writer is the song “When You Die You Get A Planet” which has a melody and opening that is very much like the band Jet with their song “Are You Gonna Be My Girl”. Other than that, I think this band could go places as long as they are dedicated to the music. Another song that is very good is “Van” which is live off the floor. Great sound! I’m looking forward to seeing them tomorrow night in Vancouver at the Whiskey Dix. They are also playing in Victoria tonight (February 24) so if you need a place to go tonight for a fun atmosphere, check out Logan’s Pub. Band is on first so get there early! A live video of Jesse and the Dandielions with a song called ONLY A ROCKET CAN SAVE US on Vimeo.